REDUCED PRICE 1`650,000.00 Casa Coapinole is located to the north of Pitillal, by the main Ecuador Street, more.. 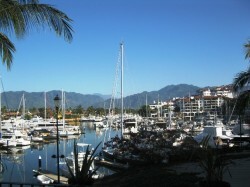 This beautiful home is located in the heart of Marina Vallarta, with a capacity for 8 people comfortably. Across more..
FIXER-UPPER OPORTUNITY. House with 3 levels, has a great potential to invest in Pto Vallarta, is Ideal more..